ONCE highly rated former Giant Kristian Jaksch has been delisted by Carlton. Jaksch, 22, was told his fate at an exit meeting on Thursday afternoon. He was taken at pick 12 in the 2012 NAB AFL Draft by the Giants and played just seven games for the AFL's newest franchise. 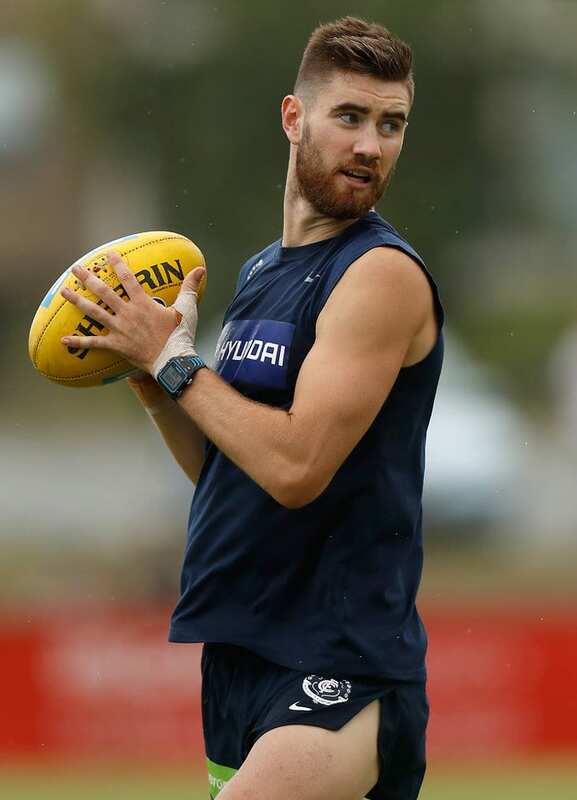 In a costly trade, Carlton gave up pick seven to secure Jaksch in the 2014 NAB AFL Draft, as part of a deal that also brought midfielder Mark Whiley to Ikon Park. The Blues also got pick 19 in the deal, with which they selected midfielder Blaine Boekhorst. Carlton is expected to delist several players this off-season, although some are being retained in the short-term as the club considers its trade strategy. Boekhorst is one of those players whose future remains up in the air, along with forward Dylan Buckley. Jaksch has played just seven senior games in Blues colours, for a total of 14 in his AFL career to date. He joined the Carlton on a deal believed to be worth more than $1 million over three seasons. Whiley was delisted at the end of last season.